Indemnity is defined as "a duty to make good any loss, damage, or liability incurred by another" (Black's Law Dictionary). The term comes from a late Middle English word meaning "unhurt, free from loss." The principles described in the terms "indemnity" and "indemnify" are interrelated so these terms are defined and explained together. To indemnify someone is to absolve that person from responsibility for damage or loss arising from a transaction. Indemnification is the act of not being held liable for or being protected from harm, loss, or damages, by shifting the liability to another party. Both terms relate to liability, specifically being sued for one's actions. Indemnity also includes an understanding that an injured party has a right to claim reimbursement or compensation for a loss or damage from the person who has the duty. This concept is seen often in civil lawsuits relating to negligence claims. Indemnity refers in some contexts as compensation for loss or damage from the actions of another party. Indemnity can also refer to a legal exemption from loss or damages, as in the case of an indemnity clause in a contract, in which one party agrees to take the liability for loss or damage from another party. In this case, indemnity has the general meaning of "hold harmless." A person can attempt to be indemnified (held harmless) for doing their duty or acting within the scope of their job. But indemnity doesn't carry over into illegal acts, like theft, harassment, and fraud. For example, a corporate financial officer may have made a mistake in an important financial report. The officer may be protected from being sued for this mistake. But if the financial officer embezzles money from the company, this is a crime and there's no indemnity protection. An indemnity agreement is sometimes called a hold harmless agreement because it is an attempt to make sure that one party does not attempt to sue another party for negligence. At present, 42 states have some kind of state laws that limit the inclusion of indemnity clauses or agreements. While indemnity agreements are a protection against lawsuits, they don't allow compensation for loss or damage. Even where these clauses are not restricted, courts have held that indemnity clauses must be expressed in "clear and unequivocal terms" (Maine) or, "very clearly intended" (Nevada). Indemnity usually arises in contracts, either as a separate indemnity agreement or as an indemnity clause in a contract. This language is included in cases where there is a possibility of loss or damage to one party during the term of, or arising from the circumstances of, the contract. The right to indemnity and the duty to indemnify ordinarily stem from a contractual agreement, which generally protects against liability, loss, or damage. One of the best examples of indemnity is insurance, which an insurance company indemnifies a property owner from losses or damage to that property. 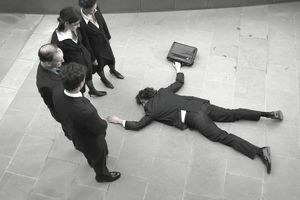 The business owner basically transfers the risk of having to pay for negligence to the insurance company. In another example, business owners may buy indemnity insurance for professional liability. Indemnity insurance can protect freelance writers. "I hereby release, acquit and discharge [company] and its agents and employees from any liability arising from any circumstance including the negligence of [company] or its employees. The Board of Directors, officers, employees and agents of the Corporation will be indemnified and held harmless by the Corporation and its shareholders against any claim...arising out of the individual's participation in the affairs of the Corporation. But a typical indemnity clause may also state that these individuals aren't entitled to indemnity for liability for gross negligence, willful misconduct, or breach by the individual of any provisions of the agreement.